We offer the best prices on the market. You don’t even have to buy from HGrégoire Nissan Vimont. Get your vehicle appraised today! Regardless of the make, model or year of your vehicle, we’re ready to buy it. Stop by and we’ll make sure you get the maximum amount for your vehicle. HGrégoire Nissan Vimont de Laval is growing fast. We’re interested in buying your vehicle. We’ll always offer you the best market price for your trade-in. What’s more: you’ll have the time to think about it because our offer is valid for 10 days or 1000 kilometers. You can sell your vehicle to HGrégoire Nissan Vimont without having to buy a new one from us. You’ll still get the best price—guaranteed! 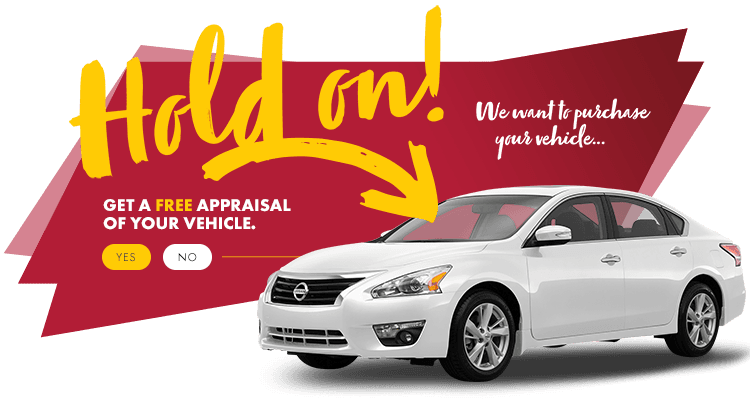 Get your vehicle appraised today!